High tea, pampering, gardens, bliss! 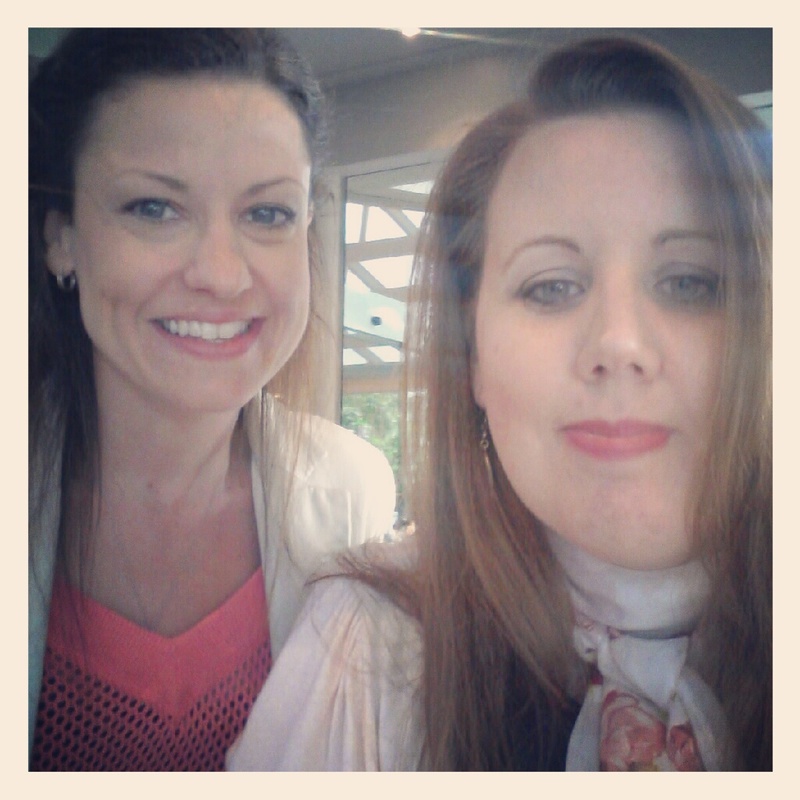 Last Sunday was such a gorgeous day, Melbourne had truly put on a magical Spring day for my friend Kellie and I to attend a Ladies Pamper Event – Spoil Me Afternoon Tea in the grounds of the beautiful Royal Botanical Gardens, which I had booked through RedBalloon. Overlooking the lake and gardens we were seated in The Terrace cafe/ restaurant and told what to expect by our lovely host, Nina. Nina, explained to us we would be able to help ourselves to tea and filtered coffee throughout the afternoon, a waiter would bring out our high tea and we could have a choice of a manicure or hand massage and a shoulder/ neck massage. A glass of sparkling wine was given to us to start our lovely experience. 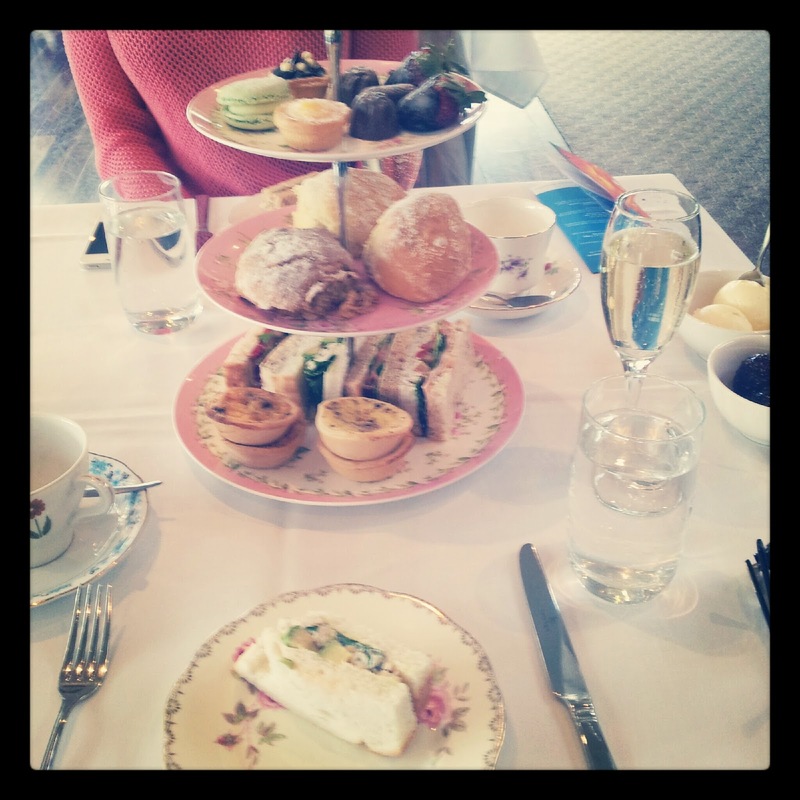 The high tea was brought out and we sat there with our mouths open and saying ‘Oh my Gosh! How amazing does this look? There’s so much food!’. Sausage rolls, delicious quiches, ribbon sandwiches, three different types of scones, macrons, pastries and chocolates. We were spoiled for choice as to what to eat next! All the food was so fresh and absolutely divine (Top picture). After a while of Kellie and I (2nd picture) scoffing food and chatting, I was called upon to have my manicure done. I chose a vibrant red nail polish and the lovely therapist went to work in trying to beautify my nails. I did have them looking good but housework tends to not be kind to brittle nails which split easily, I’m afraid to say. The therapist did a really good job and I love the colour. 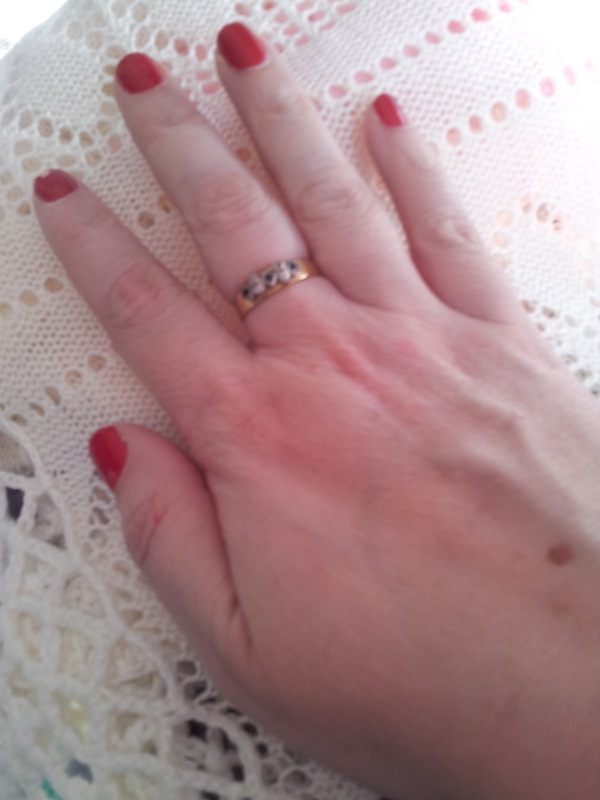 Kellie also had a manicure done and had her nails painted a bright apricot colour, which is very in for Spring/ Summer 12. Back to eating and chatting and I was called upon to have my massage. The massage therapist asked if I had any injuries or ailments “no.. just a bit of tension in my shoulders”. Hmmm ok, so I must have had just a touch of tension there! It felt so good afterwards though, I think I may need to schedule massages in more often. Overall, I think this has to be the best high tea experience I have been to and that includes high teas I have had at the Sofitel and Langham hotels. Nothing was too much trouble. The pamper event and high tea was well run and we were really taken care of. It was in a lovely cafe in gorgeous surrounds. What more could you want from a pampering high tea experience? Kellie and I had a fantastic time and we will probably do it again with some more friends soon. Thank you to RedBalloon* for organising this experience for us. After the last few weeks, I really needed a break and something ‘for me’ and it was definitely an experience I will be doing again. I can’t wait to share my other RedBalloon experiences with you over the next six months, including a romantic getaway to Daylesford and a yacht cruise. Exciting!! With the ease of using RedBalloon (and really I hadn’t had time to actually take the boys shopping for their Dad’s birthday present), I bought a Lamborgini drive experience for the boys Dad’s 40th birthday yesterday. He was quite rapped with it and can’t wait to do it. Somehow I think the boys will be wanting to help Dad with his experience when he does it. Special Offer: Spend $129 or more on any RedBalloon experience, and receive $30 off. *A huge thank you to the team at Digital Parents Collective for asking me to be a part of the RedBalloon Experience Program. Experiences were provided for review and all views are my own.